More optical styles for the retro. The Nike Tennis Classic is stuck in optical illusion mode right now, and is following up the previous geometric pair with this joint. 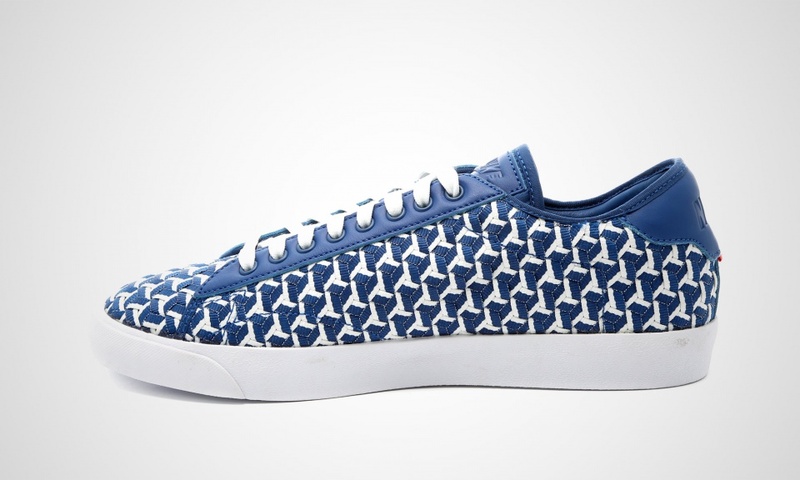 This take on the shoe, featuring the Woven build, is allowed to be more colorful with its patterned upper, and uses a mixture of navy and white. It's rare that Nike Sportswear proper ever spends any time actually talking about this shoe, so it's unlikely that the brand will give out the official inspiration behind this pack. 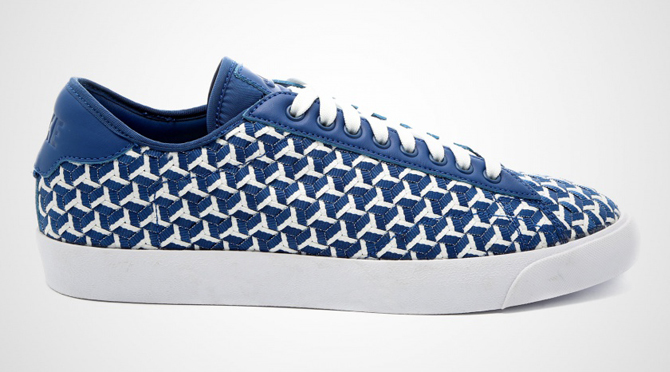 European retailers like 43 Einhalb have this Nike Tennis Classic creation available now.